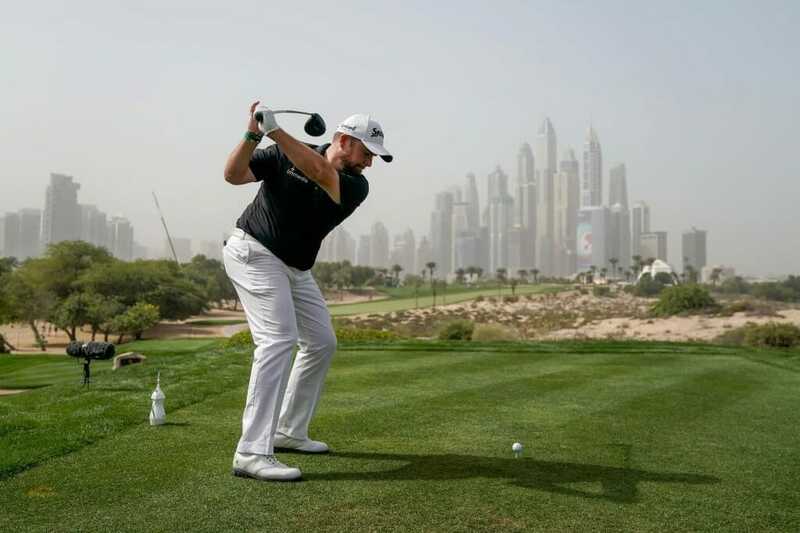 Shane Lowry raced to the finish line in fine style to cap off another hugely successful week at the Dubai Desert Classic. The World Number 41 didn’t get off to the best of starts, quickly seeing his slim hopes of winning diminish with a bogey at the 1st before posting a double at the 6th. However Lowry looks more composed than ever when it comes to overcoming adversity on the golf course and he soon turned his fortunes around. Successive birdies at 7 and 8 wiped away any lingering frustration from his double on 6 before the Clara man put the afterburners on around the turn. He fired six birdies in all on the way home, signing off with a five-under-par round of 67 for a 14-under-par total and a share of 13th place. Lowry, alongside Ernie Els and Byeong Hun An will each share a chunk of a tidy €132,000 pay cheque for the result. At the top, Bryson DeChambeau claimed his maiden European Tour title in some style, producing a closing 64 to win the 30th anniversary edition of the Omega Dubai Desert Classic by seven shots. The World Number Five had set himself the target of securing his first professional overseas win at Emirates Golf Club ahead of the event, and he duly delivered, carding an eagle, seven birdies and a single bogey on day four to finish the week on 24-under-par and set a new tournament record. Last year’s champion Li Haotong, who played alongside DeChambeau in the final round, had held the previous record after producing a winning score of 23-under in 2018. Englishman Matt Wallace finished alone in second place on 17-under after closing his round with back-to-back birdies to sign for a 68.